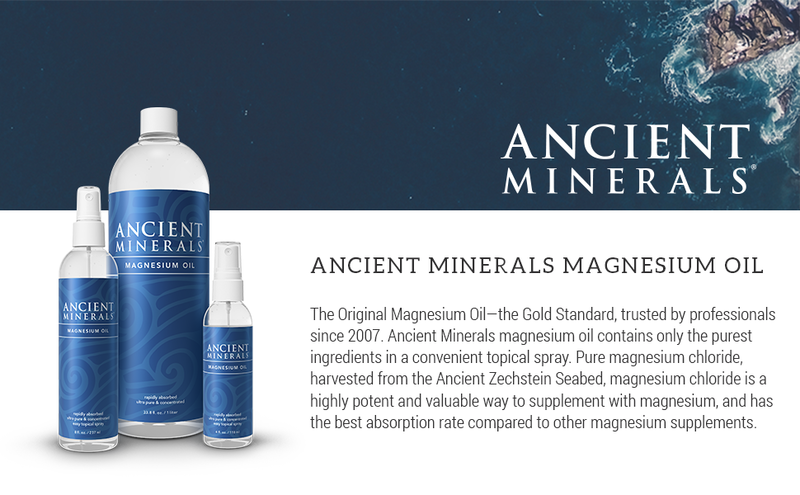 Click the button below to add the Ancient Minerals Magnesium OIL Refill 1L (33 oz.) to your wish list. 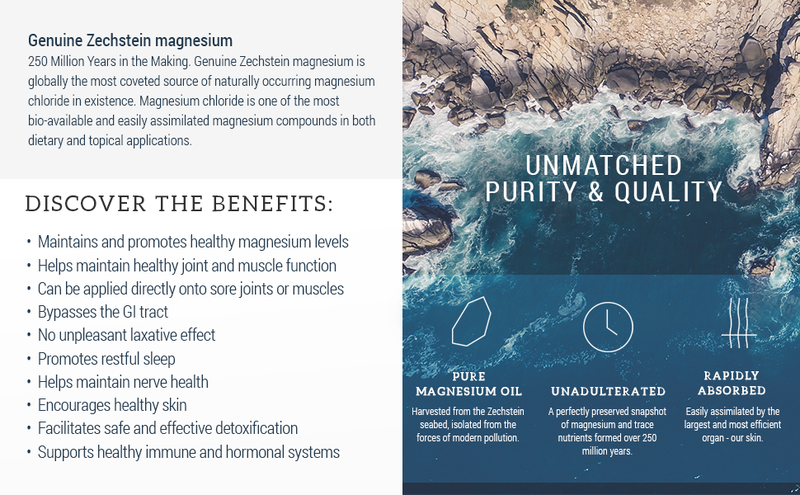 Ancient Minerals magnesium products offer a convenient form of topical magnesium—absorbed by the skin—for those who prefer to avoid the hassle of taking pills and the difficulties inherent with poorly tolerated supplements. Why topical? Because the skin is not only the most efficient organ for detoxification, but also holds tremendous potential for re-mineralizing the body. There are hundreds of peer-reviewed medical studies examining the efficacy of magnesium in a wide range of health enhancing applications, yet not much attention is directed at the method of delivery. Ancient Minerals magnesium oil spray is designed to deliver magnesium topically, bypassing the GI tract with no unpleasant laxative effect. Magnesium is a necessary element to hundreds of biochemical reactions occurring in the body on a constant basis—approximately 300 enzymatic reactions! Magnesium contributes to the manufacture of energy, cardiovascular function, and cellular reproduction. Strong bones and teeth, radiant skin, balanced hormones, a healthy nervous system, and relaxed body and mind, all made possible by sufficient magnesium in our cells. Ancient Minerals magnesium products take advantage of our most efficient organ—our skin! A form of topical magnesium, our magnesium oil, magnesium gel, magnesium lotion, and magnesium bath flakes are all designed for convenient, optimal absorption of magnesium. Ancient Minerals should be rubbed directly onto the skin in concentrated form as needed. For use of magnesium in tub baths and foot baths, use Ancient Minerals magnesium flakes.